Jacob Tremblay gave himself a hard act to follow. His debut as Jack, the son of a captive young woman in Room, earned him a Critics Choice Movie Award, a Canadian Screen Award and a Screen Actors Guild nomination. 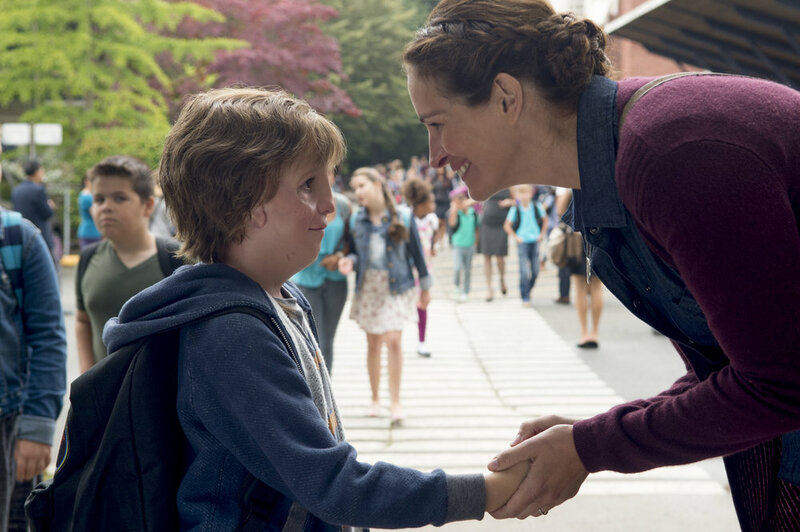 The next chapter in the life of the now 11-year-old is the role of Auggie Pullman, a boy with a facial deformity who’s trying to fit in at school, in the film adaptation of the R.J. Palacio best-seller Wonder. He plays opposite Julia Roberts and Owen Wilson as his parents. Original-Cin’s Bonnie Laufer sat down for a few minutes with the Vancouver-born Tremblay to talk about bullying, Star Wars and coffee. The following is an edited excerpt. The interview can be seen in its entirety on the link below. ORIGINAL-CIN: I read this book and I was a sobbing mess – not because I was sad, but because I was so moved. What was your reaction when you read this book? OC: It’s such an emotional story. There’s a lot going on here. I’m wondering how you related to it. Aside from loving Star Wars, what did you guys have in common? OC: Okay, I was teasing you. You also got to act with some pretty good actors in this movie. Julia Roberts is phenomenal. OC: I think you called her The Queen Bee of acting. OC: And Owen Wilson. How did you keep from laughing? OC: To me watching you as Augie was like watching somebody completely normal. You made him come off as such a wonderful young man. At the end of the day you had to sit in a makeup chair for a while. How was that for you? you feel about it when your friends are trying to get you to do something you really don’t want to do? OC: What do you say to people who bully? OC: And you recently got to be in Predator (Shane Black’s The Predator, a sequel to the 1987 original). How cool is that? Was there a lot of green screen? OC: Jacob, it’s a pleasure to talk to you again, and see you growing up and getting more and more mature. What’s your secret, how do you stay so mature?